These are so pretty. 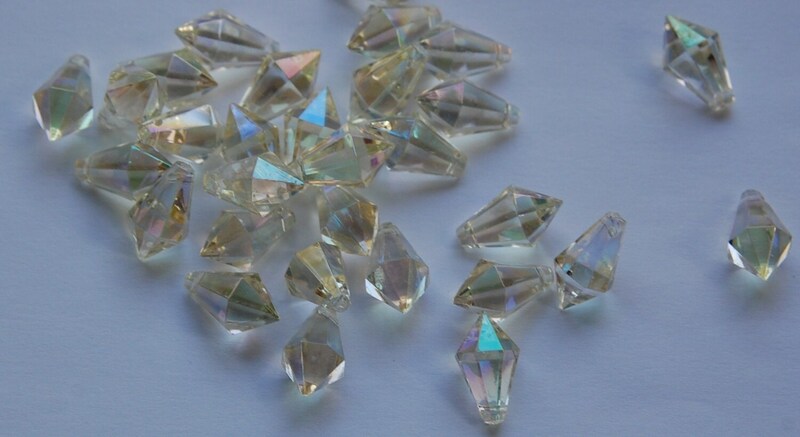 These vintage faceted prism drops are clear with an AB coating. These plastic pieces were made in West Germany. These measure 15mm x 9mm. You will 6 of these. Aww! These vintage beads are really cute. It has beautiful vintage colors! I love it! like the beads, thank you!